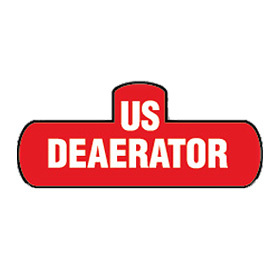 U.S. Deaerator – Messplay Machinery Co. US Deaerator manufactures tray type deaerating systems sized from 20,000 PPH to 1,000,000 PPH capacity for industrial, commercial and institutional applications. Our deaerators are custom built to your requirements and are always designed for minimum 50 PSIG ASME code construction. Our standard design offers the simplicity and reliability of the spray pipe with no moving parts but spray valves are available as an option. Our trays are constructed of heavy gauge metal and are available in a range of stainless alloy materials to suit your needs. Simple, reliable design coupled with rugged construction are what make the US Deaerator an outstanding investment. We manufacture custom boiler feed systems, either free standing or in conjunction with a deaerator. A wide variety of high efficiency boiler feed pumps are available along with custom control panels and automatic recirculation systems. Custom condensate return packages are available with steel or stainless steel tanks in vertical or horizontal orientation, ASME code or non code and with all pumps, piping and controls. Units can be arranged and sized according to your exact needs. configuration, skid mounted, pre-insulated and complete with all controls for any flow rate or temperature rise. ASME code tanks can be stainless steel or cement lined carbon steel.